While commuters may love to complain about them, train journeys aren’t all bad! In fact, there are many routes around the world which have become famous, with tourists viewing these journeys as holidays in themselves. But how do these compare to each other? Which train journeys are truly unmissable? 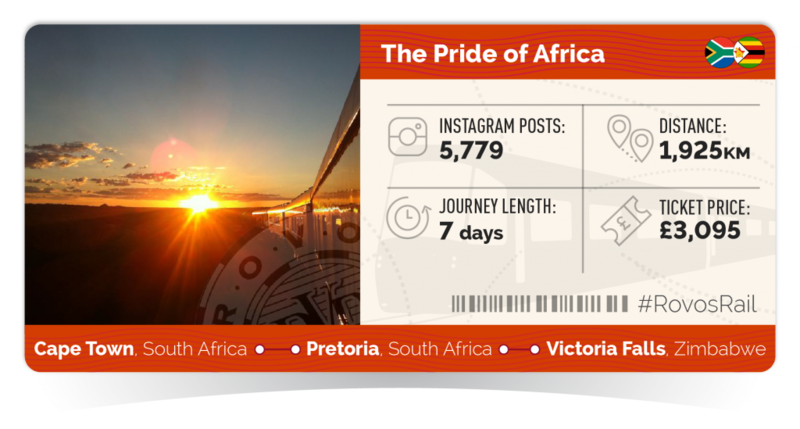 To find out, we’ve searched through Instagram, analysing over 275,000 photos to see which train journeys are filling up our feeds. 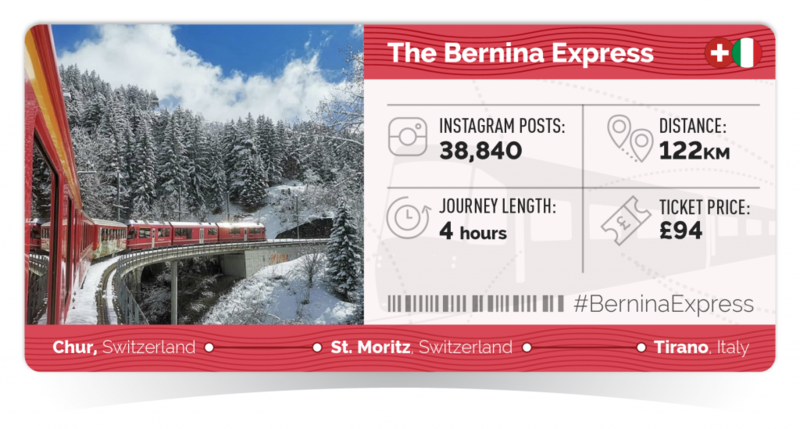 Here are the 20 most Instagrammed train journeys in the world. 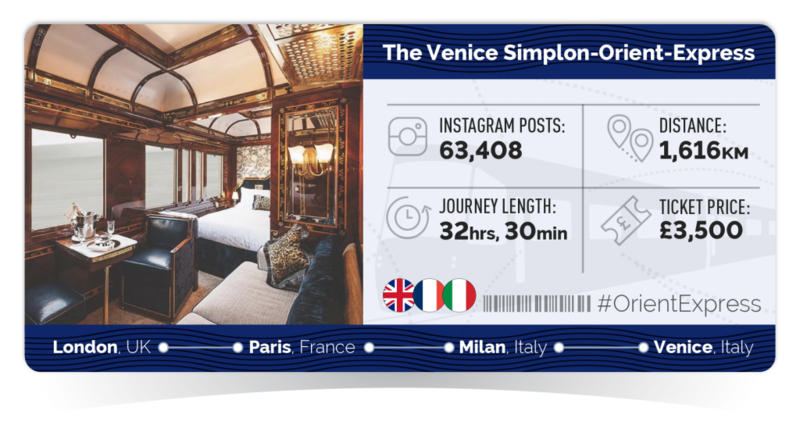 One of the most famous train services in the world, it’s no surprise to see The Venice Simplon-Orient-Express come out on top of our ranking. While there are a number of different routes you can take, the most famous is the London to Venice journey. Take a step back in time into a world of decadence and luxury, enjoying five-star service aboard incredible 1920s art-deco carriages. Feeling inspired? Book your holiday to Italy today. Next on our list is the Bernina Express, arguably one of the most scenic train journeys in the world. Travelling between Chur in Switzerland and Tirano in Italy, the 122km journey takes you through the stunning Swiss Alps, along the Bernina line, which along with the Albula line was declared a UNESCO World Heritage site in 2008. Feeling inspired? Book your holiday to Switzerland today. 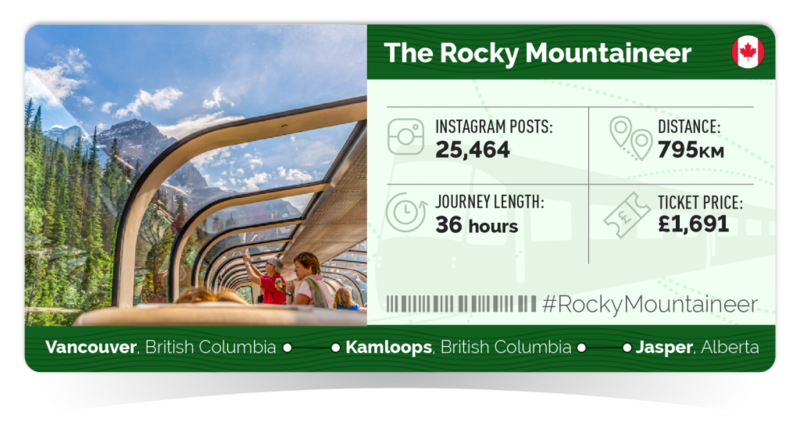 Take a thrilling ride through the Canadian Rockies on board The Rocky Mountaineer. Spread across two-days, all your travel takes place during daylight hours, meaning you can sit back and take in the magnificent scenery, viewed with ease through your glass-domed coaches. 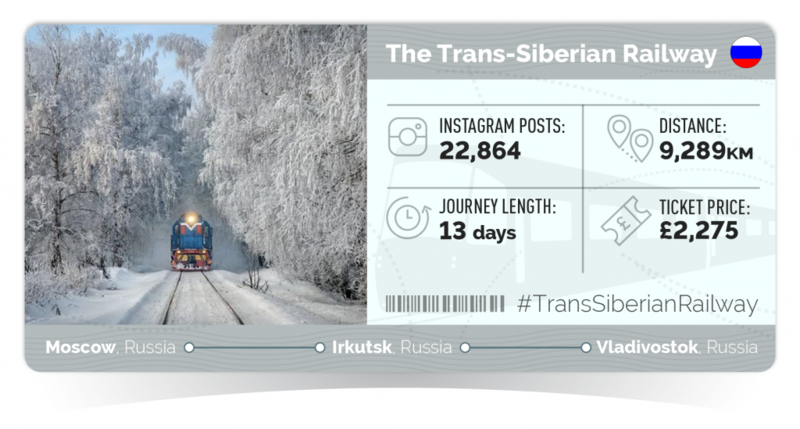 The Trans-Siberian Railway is not only the longest journey on our list, it’s the longest railway line in the world. Connecting Moscow with the Russian Far East in Vladivostok, the journey covers a whopping 9,289km over the course of 13 days. 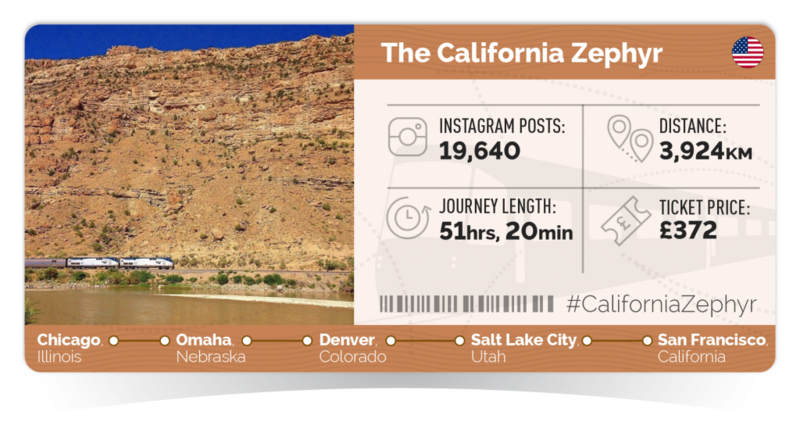 Climb aboard the California Zephyr and enjoy a scenic trip across North America. You’ll start your journey in Chicago, travelling 3,924km west, climbing through the breath-taking Rockies and snow-capped Sierra Nevadas, before you arrive at your final stop in San Francisco. 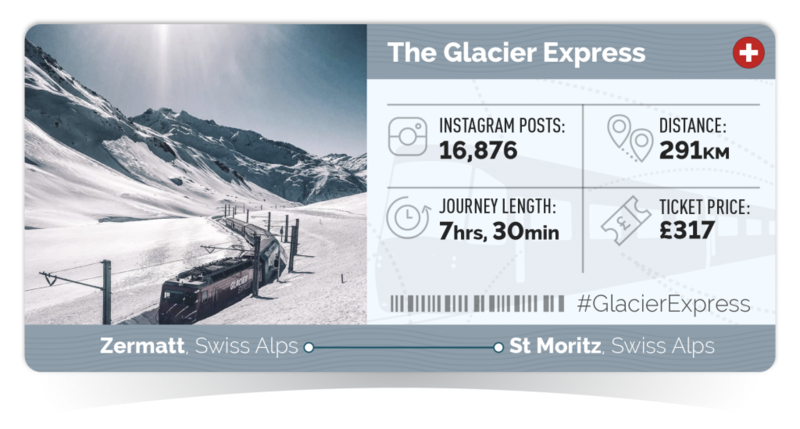 The Glacier Express is often referred to as the slowest express train in the world. But don’t worry, what it lacks in speed it more than makes up for in amazing scenery. Passengers can enjoy an 8-hour journey through the Swiss Alps, covering 291km of tracks, passing through 91 tunnels and across 291 bridges. 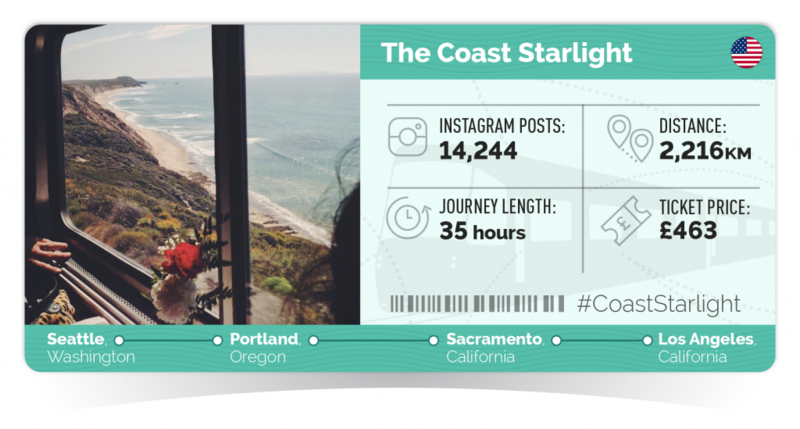 The Coast Starlight takes passengers on a spectacular journey down the West Coast of America, starting in Seattle, before passing through Portland, Sacramento and the San Francisco Bay Area, ending up in Los Angeles. From snow-covered mountain tops and rocky coastlines to huge, bustling metropolises, the West Coast has it all. 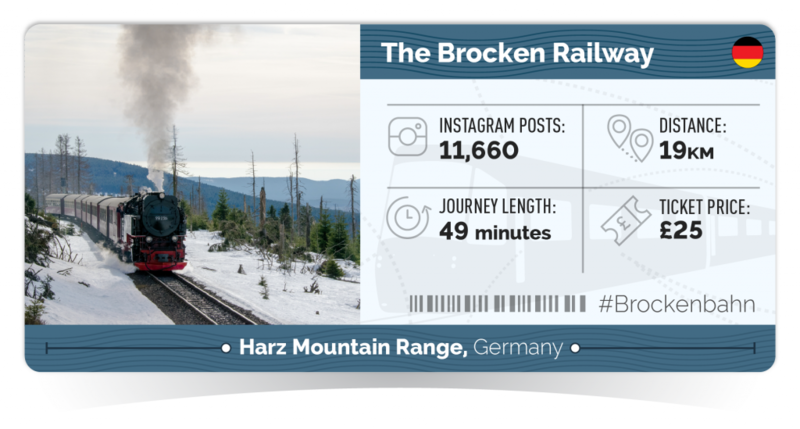 The Brocken Railway is one of a trio of narrow-gauge tourist railways that transport passengers through the Harz National Park. On this particular route you’ll climb the 1,142m-high Brocken, the highest peak in northern Germany, enjoying panoramic views of the surrounding landscape. Feeling inspired? Book your holiday to Germany today. 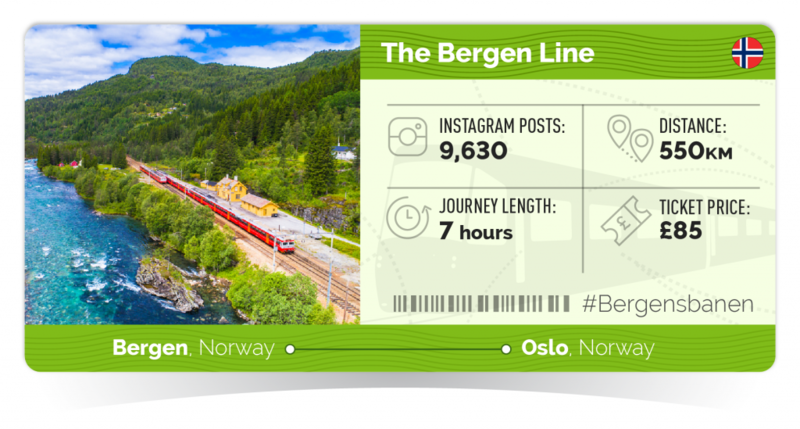 Linking Norway’s capital with its second largest city, the Bergen Line is the highest mainline railway in northern Europe. During its 7-hour journey, the train travels through the desolate Hardangervidda plateau, at an ear-popping 4,058ft above sea level, spending almost 60 miles above the tree line. 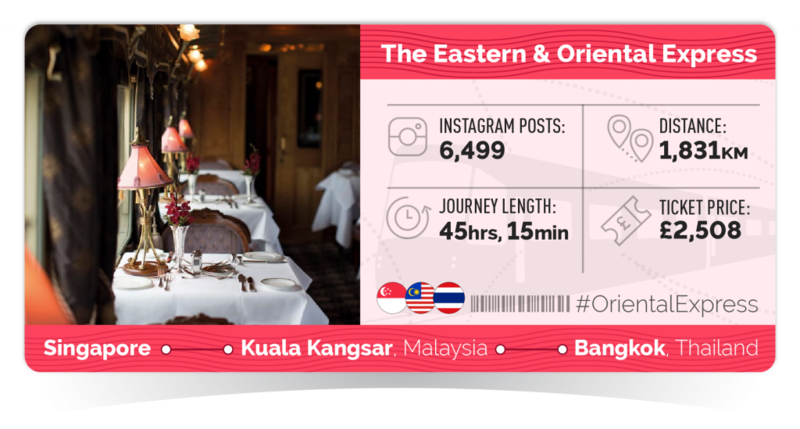 Not to be confused with the Orient Express, the Eastern & Oriental Express takes passengers on a journey through Southeast Asia, from Singapore to Bangkok via Malaysia. Despite the vastly different locations, one thing this train does have in common with its similarly-named counterpart is a focus on glamour and luxury. 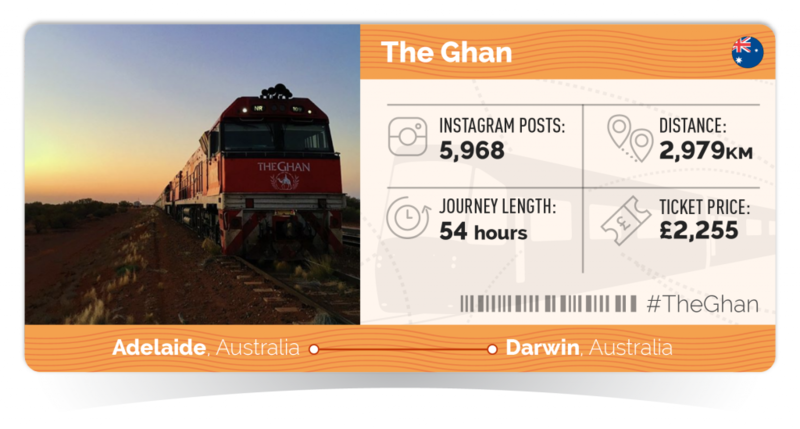 Starting in Adelaide and ending in Darwin, the Ghan takes passengers on an epic journey through the heart of the Australian outback. 2019 sees the Ghan celebrate its 90th anniversary, with various events planned throughout the year, both on and off the tracks. 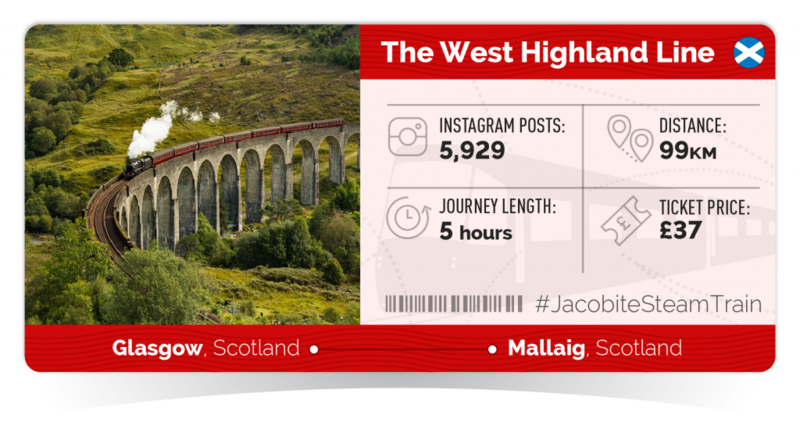 Travelling along the West Highland Line, the Jacobite Steam Train is probably best known for the role it plays in the Harry Potter movies – as the Hogwarts Express. However, this isn’t just for movie fans. On the journey from Glasgow to Mallaig, passengers can enjoy some of the most awe-inspiring scenery Scotland has to offer. Billed as the most luxurious train in the world, the Pride of Africa travels on various routes throughout South Africa, Zimbabwe, Zambia and Tanzania. Guests spend their time aboard stunning reconditioned wood-panelled coaches, enjoying fine dining and world-class service. The Tren a las Nubes, or Train to the Clouds is a tourist train service in Argentina and certainly lives up to its name. 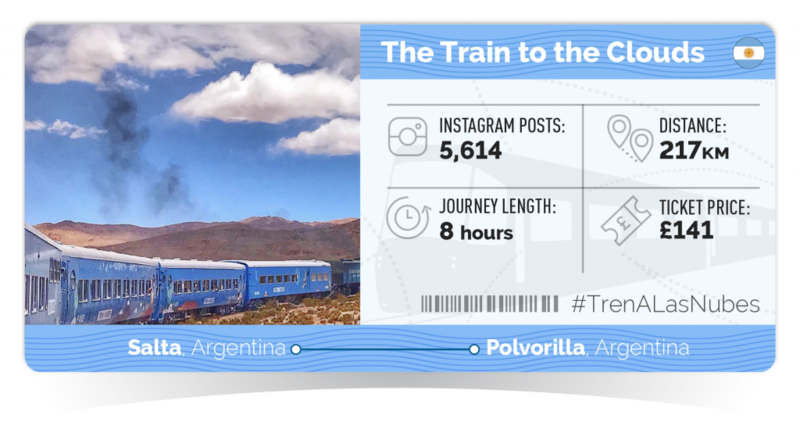 Travelling through the Salta Province, from the Argentine Northwest to the Chilean border in the Andes mountain range, passengers are transported to an incredible 13,850ft above sea level – making this the fifth highest railway in the world. 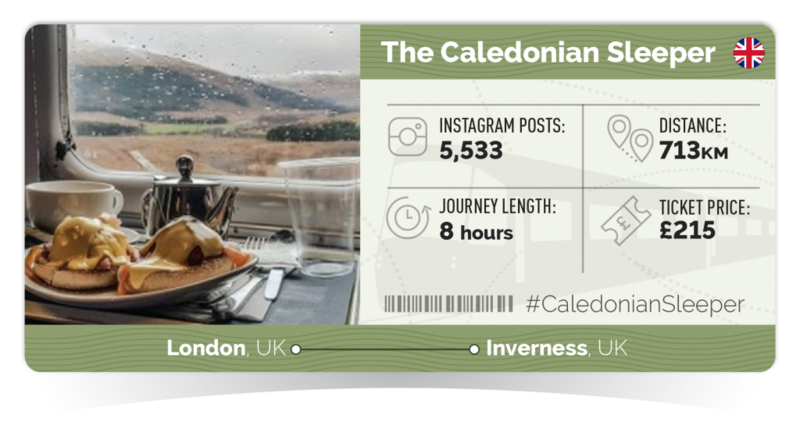 One of only two sleeper trains currently in service in the United Kingdom, the Caledonian Sleeper is an overnight service that runs between London and Scotland. Passengers can fall asleep in the nation’s capital, before waking up in the stunning, remote Highlands. 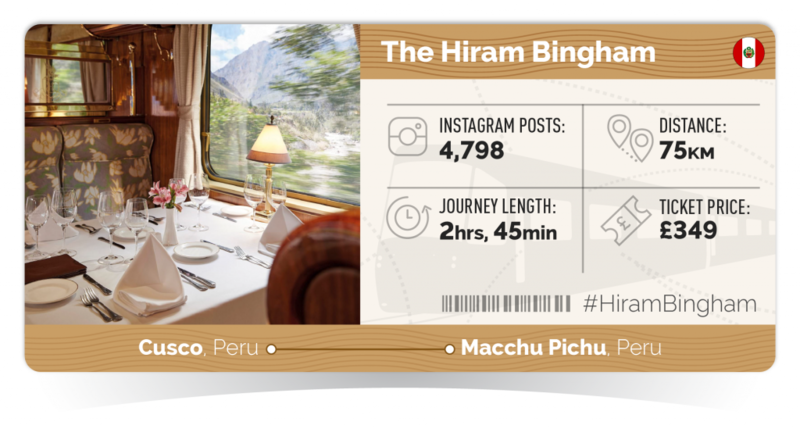 The Hiram Bingham takes passengers on a luxury voyage into the heart of the Inca Empire, running from Cusco through to Machu Picchu. As you’re taken on your winding journey through Peru, sit back and relax with some gourmet food and drink, or sing along with the onboard musicians. 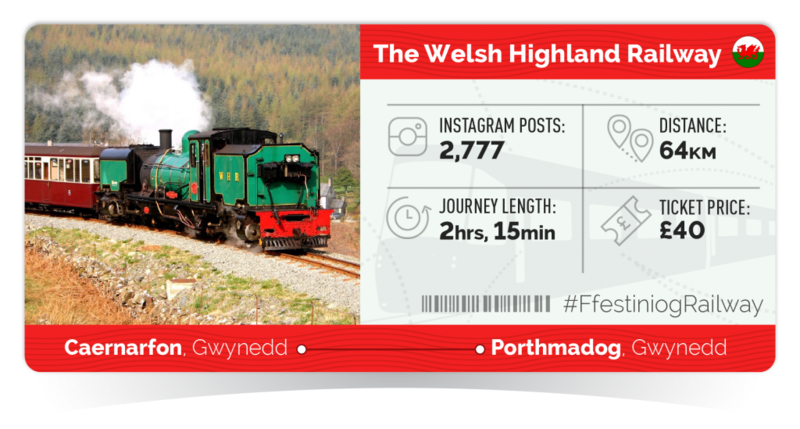 The Ffestiniog and West Highland Railways stretch for 64km through the stunning Snowdonia National Park, taking you on a magnificent journey through the scenic Welsh countryside. As one of the world’s oldest narrow-gauge railways, with almost 200 years of history, passengers can enjoy a trip back to the golden age of rail travel. The Old Patagonian Express is a narrow-guage railway in Patagonia, Argentina, with its nickname, La Trochita, translating to ‘little gauge’. 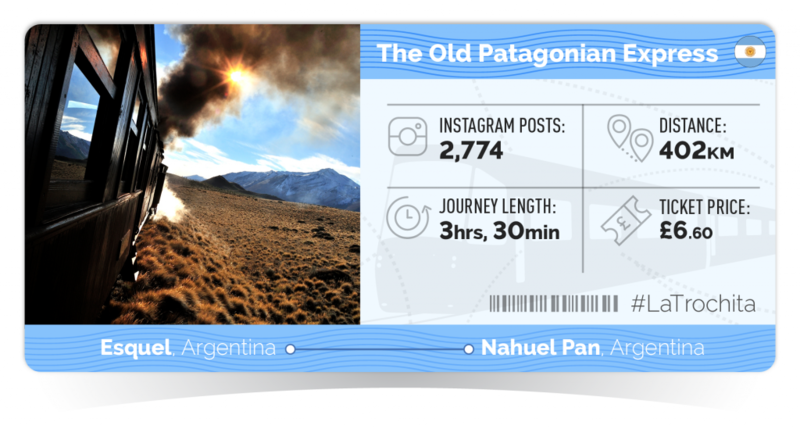 Running through the foothills of the Andes, between Esquel and Nahuel Pan, the journey was made famous by the 1978 Paul Theroux book The Old Patagonian Express, which described it as the railway almost at the end of the world. 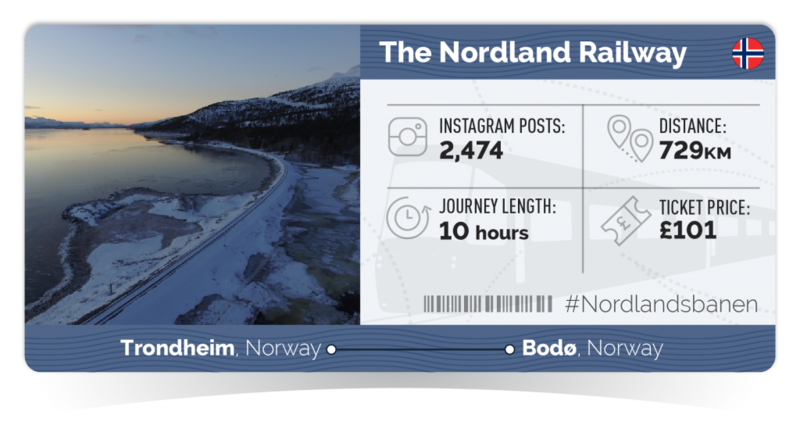 Travelling between Trondheim and Bodø in Norway, the Nordland Line has been voted one of the most beautiful night train journeys in the world. The 729km journey takes you through a variety of different landscapes, but the highlight has to be the Saltfjellet mountain range, where you cross the Arctic Circle. 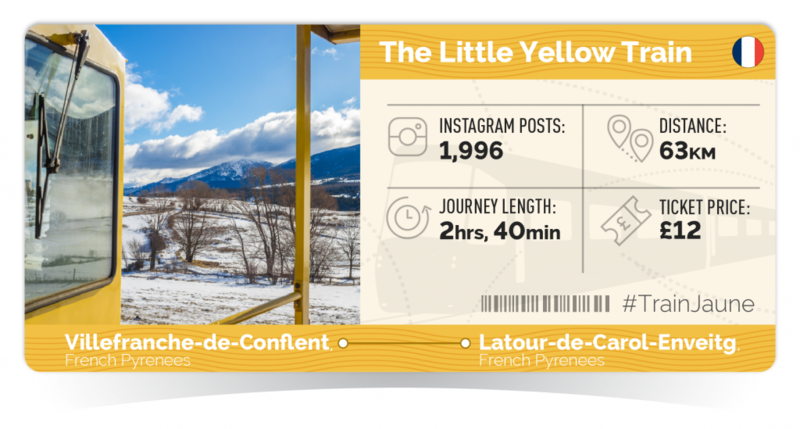 The Little Yellow Train takes you on a magical trip through the French Pyrenees, starting in Villefranche-de-Conflent and ending in Latour-de-Carol-Enveitg. Along the way, passengers can witness breath-taking scenery, from winding rivers and lush forests to huge bridges and viaducts. Feeling inspired? Book your holiday to France today.